Open Music Labs products are available through SYNTHCUBE. We no longer take orders from this site, and are keeping it online for reference only. 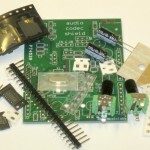 The kit form of this product is manufactured by SynthCube. 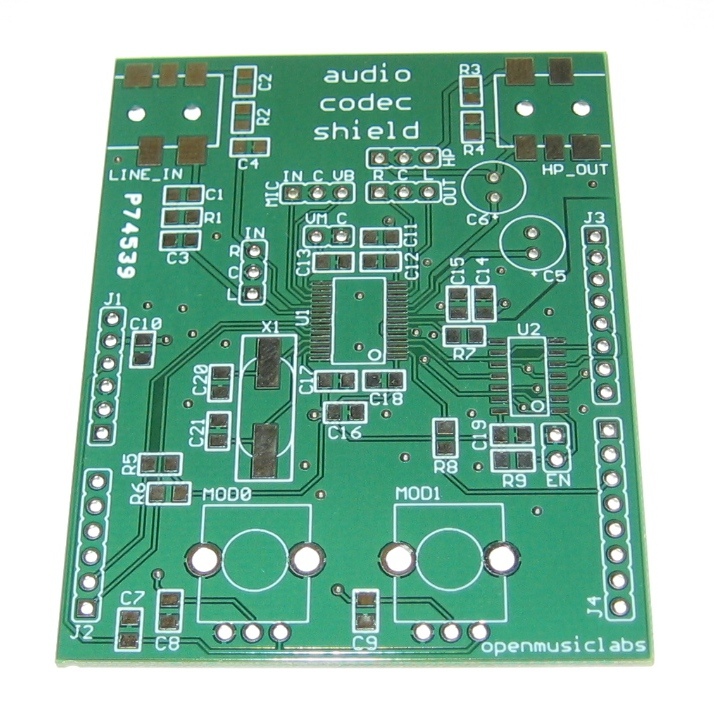 This fully assembled Audio Codec Shield mounts on top of your Arduino Duemilanove, Uno, or Leaflabs Maple. Arrives ready to use! 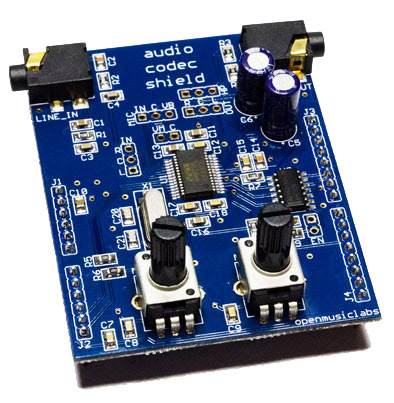 The Audio Codec Shield is an Arduino shield that sports the same Wolfson WM8731 codec as the MICrODEC (capable of stereo sample rates at 44.1/16b and beyond!). The shield has 1/8″ stereo input and headphone output jacks, a single pole analog input aliasing filter, and 2 potentiometers for varying parameters in your code. 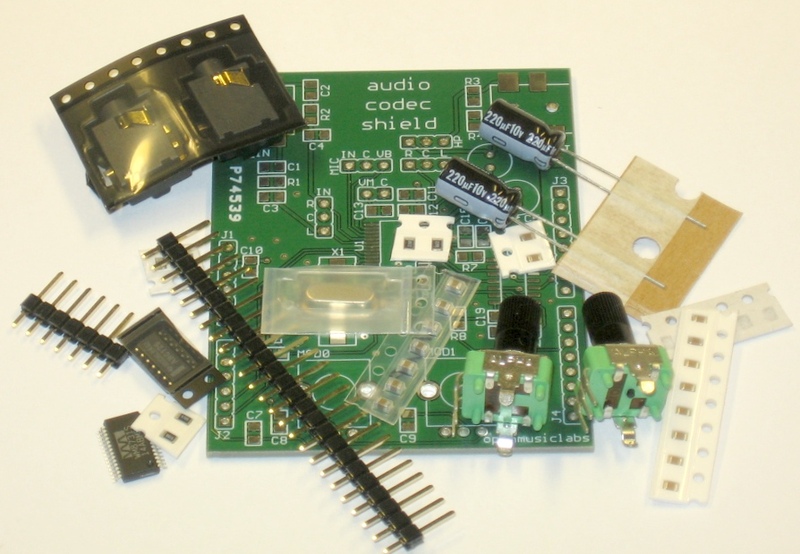 This kit comes with all the parts you will need to assemble a fully functional Audio Codec Shield. It comes with jacks, pots, headers, passives and ICs. This kit is mostly 0805 surface mount. 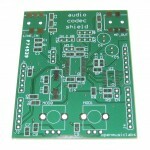 PCB is now included with this kit. Don’t want all those extra knobs, jacks, and headers? Make your own Codec Shield! Make it small, and fit it into your own stompbox. We have a lot of these left over, so feel free to contact us about quantity discounts.